Like the Meran high alpine route also the Pfunderer high alpine route in Pustertal is designed as a long more-day-tour through a row, untouched nature from Sterzing to Pfalzen. 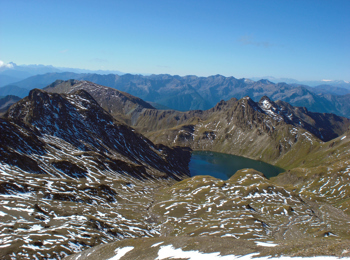 To make the Pfunderer high alpine route you should have a good condition: you are 6 days on the road. 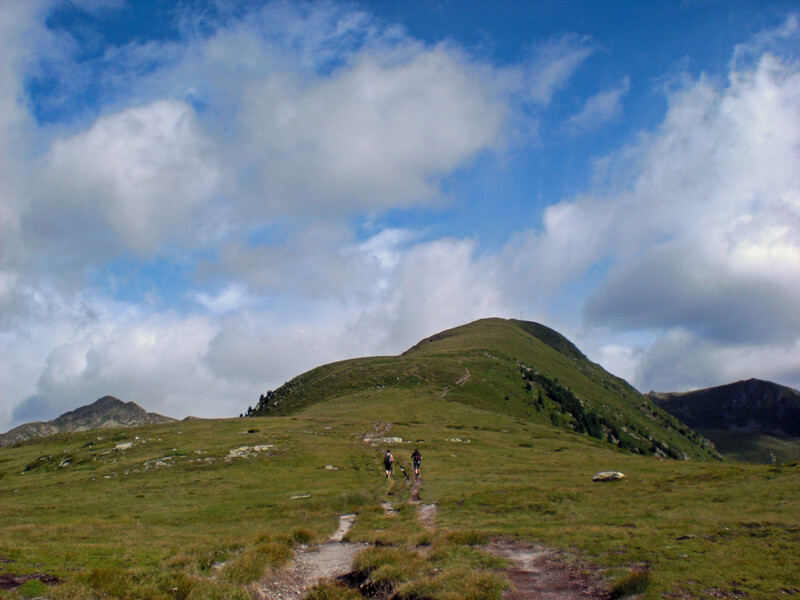 If you are very fit you can manage the high alpine route also in 4 days. Along the Pfunderer high alpine route there are a lot of refuges to stay overnight. There you can also eat very well, and save provisions. 1st day: From the train station in Sterzing we hike to Wiesen (30 minutes). 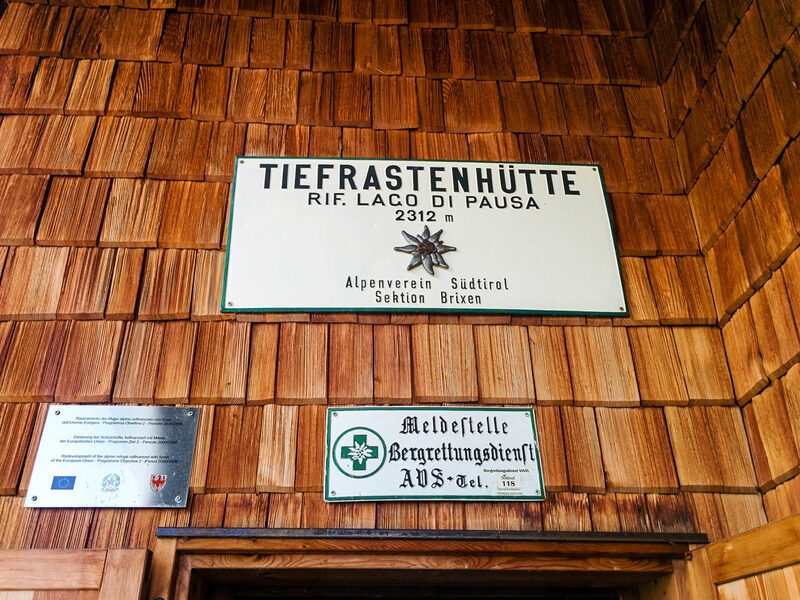 At Wiesnerhof Inn the High Alpine Route begins. We wander through woods and meadows and arrived at Gliessenegg we come on the crest and go to Mt. Zwölfernock and to Plitschalm mountain pasture. Above the huts we come to the Trenserjoch hut, a self catering facility and then to Simile-Mahd-Refuge, where we stay overnight. 2nd day: After the night in Simile-Mahd-Refuge we hike in 2 hours to the Sengesjoch-pass and to the amazing Wilder See Lake. Finally we climb also the Mt. Wilde Kreuzspitze before we go down to Brixnerhütte Refuge, where we can stay for the night. 3rd day: After a good breakfast we follow the high alpine route to the Steinkar embrasure and climb the Mt. Pfannspitze at 2709 m above sea level. We scale down to the Weitenbach mountain pasture circle the homonymous field and reach soon the Keller-embrasure. We go down to the end of the valley and stay overnight in the Walther Brenninger Biwak (a self catering hut). 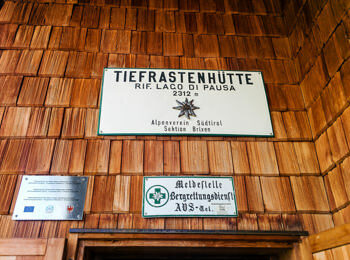 4th day: The 4th day we cross the Weißsteinkar cirque and the Gais-embrasure and go to Eisbruggsee Lake and Edelraut Refuge. This stage is very arduous, but the good food is rewarding us. 5th day: This 5th day stage is 6,5 hours long and leads as from Edelraut Refuge to Tiefrasten Refuge. There we stay overnight for the last time. 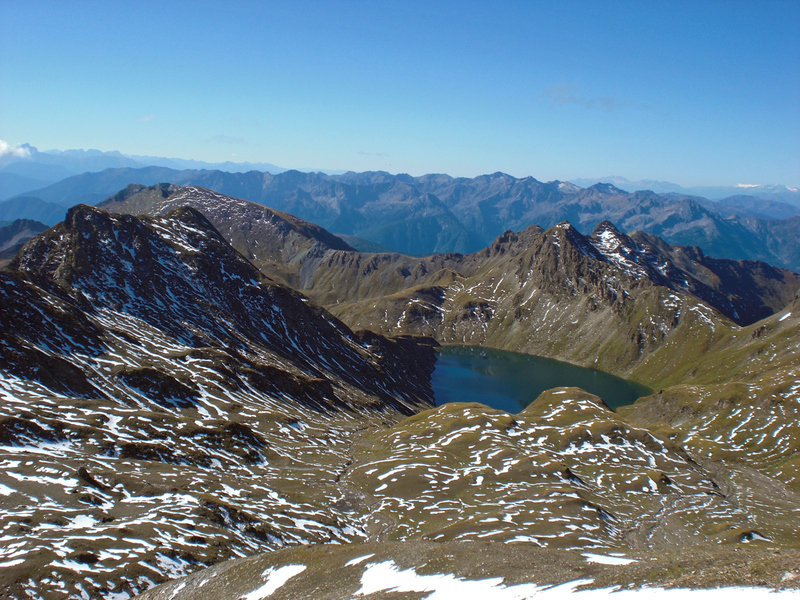 The panoramic view over the Zillertal Alps is really amazing. 6th day: The last day isn’t very difficult but pretty long. From Tiefrastenrefuge we hike from West to East on a crest with many smaller summits: Hohen Spitz, Zwölferspitze, Putzenhöhe and Bärentalerspitze. From the last peak we have a great view over the Dolomites. From Bärentalerspitze we hike down to Kofler Inn, where we can wait for the bus or walk down by feed to Pfalzen village, the ending point of this marvelous Pfunderer High Alpine Route.